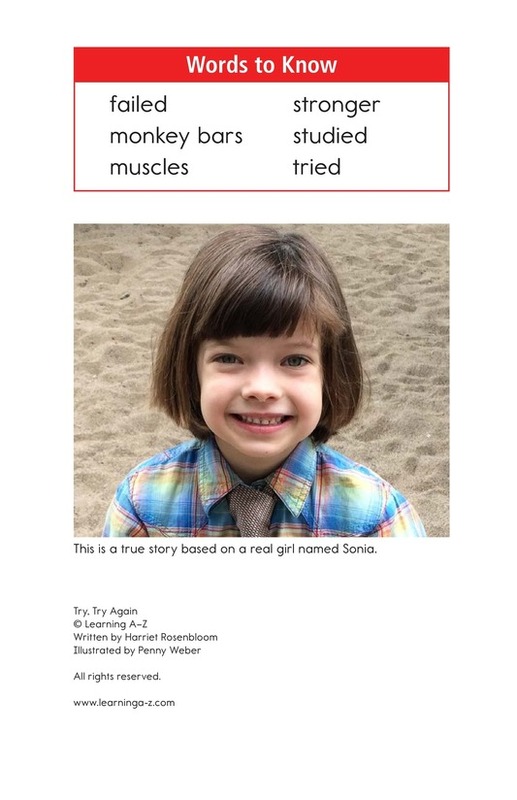 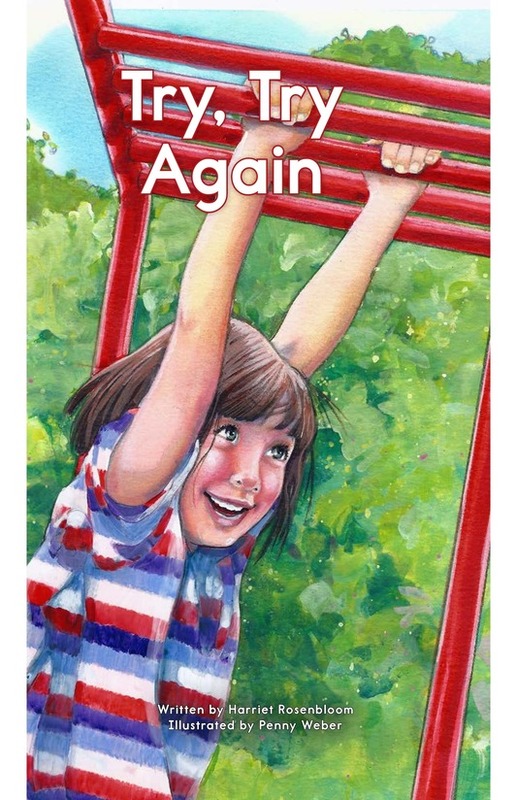 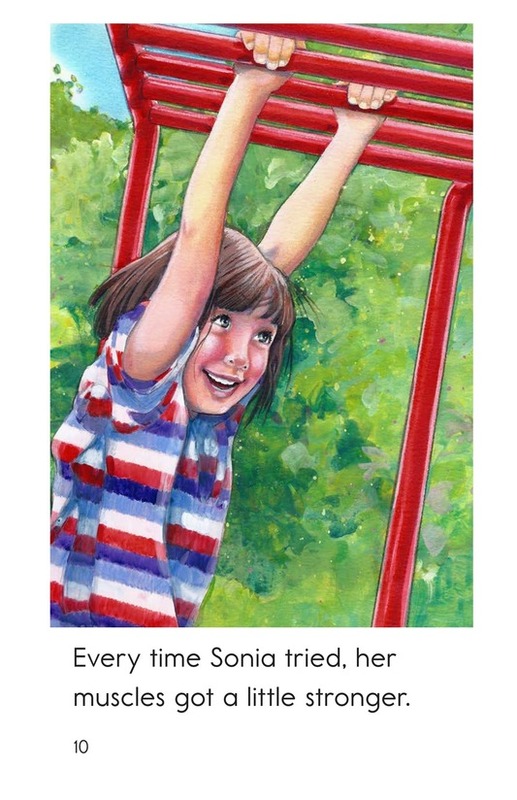 Try, Try Again is based on the true story of a girl named Sonia. 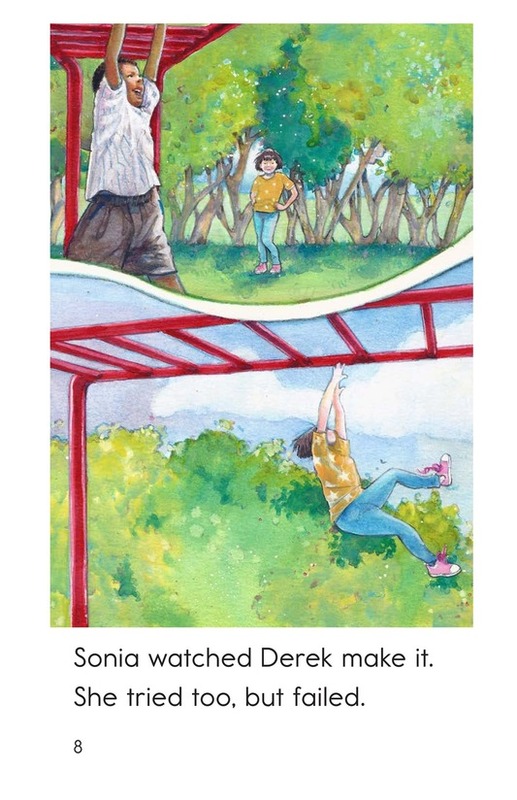 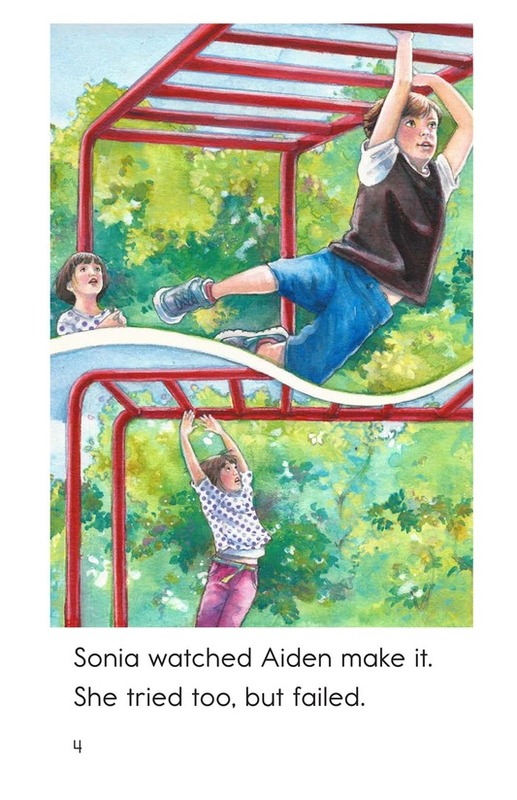 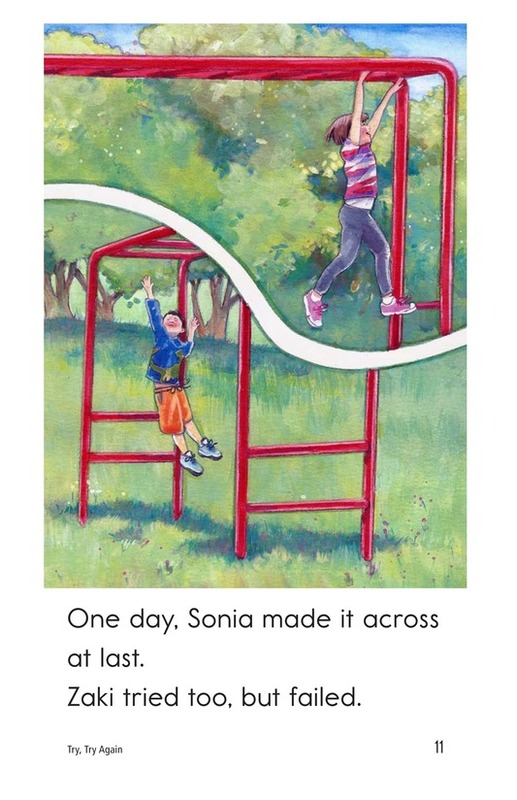 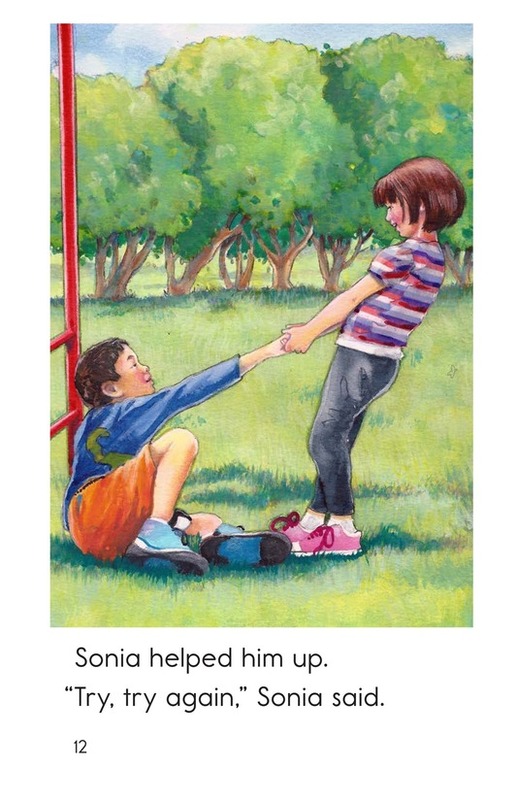 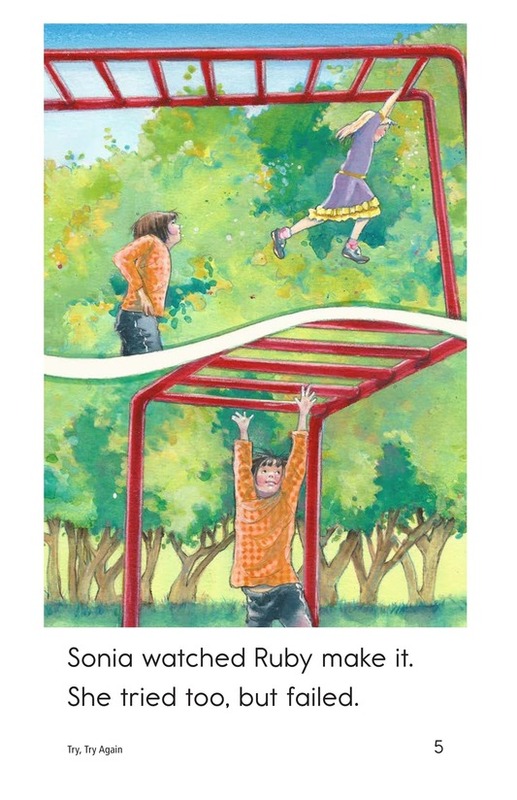 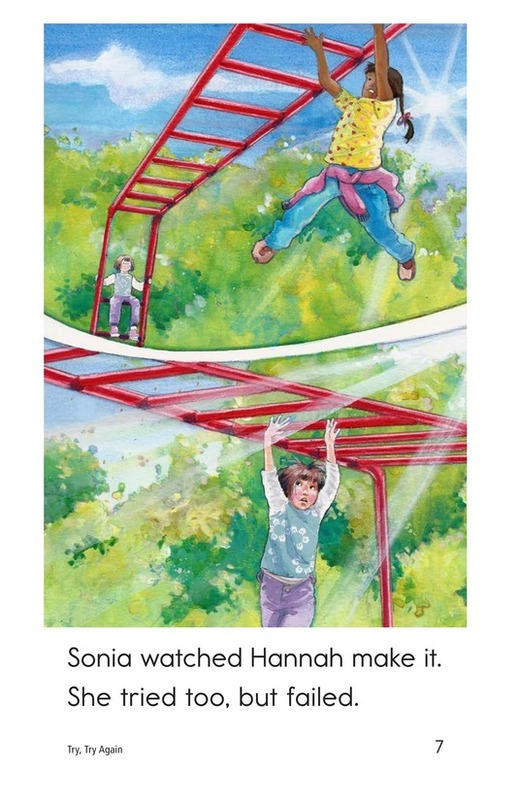 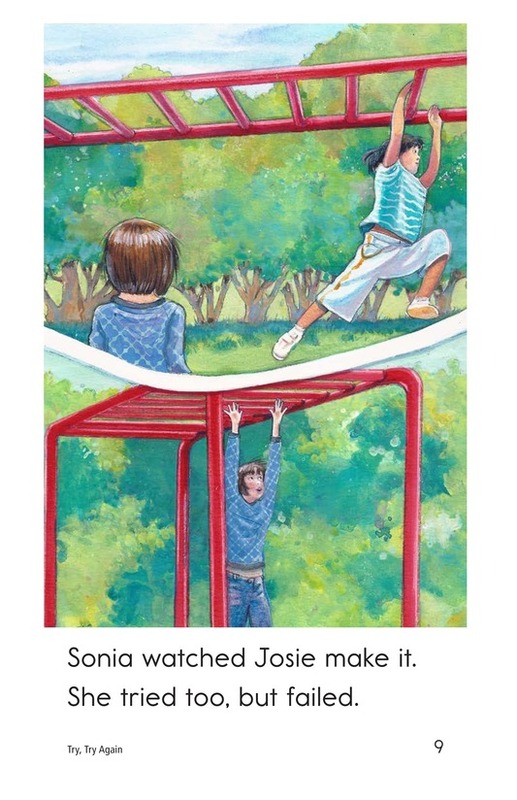 Sonia watched other kids going across the monkey bars, but when she tried to cross the monkey bars herself, she was unsuccessful. 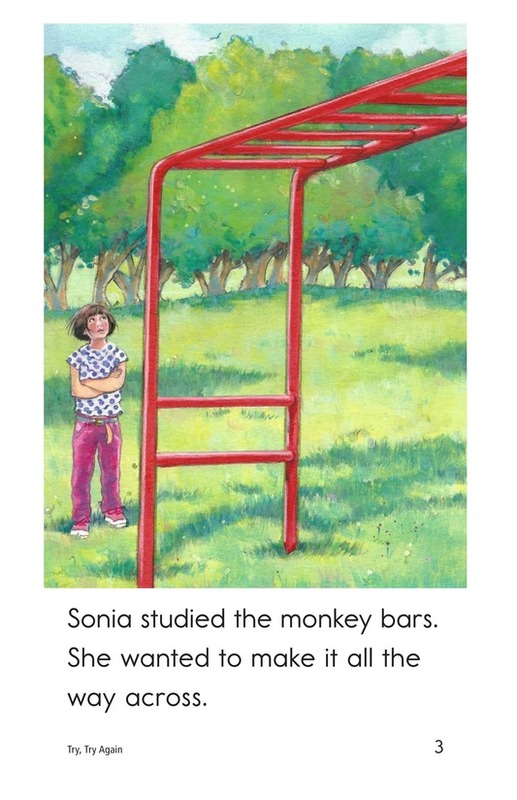 Will Sonia ever be successful at crossing the monkey bars? 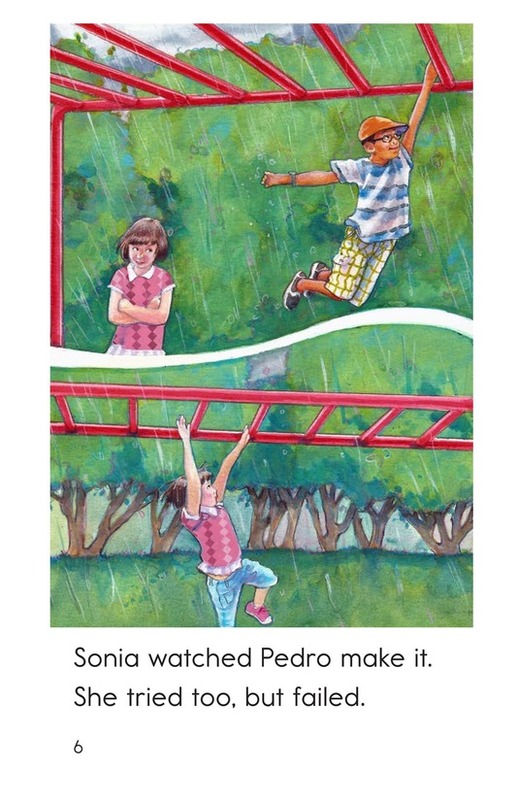 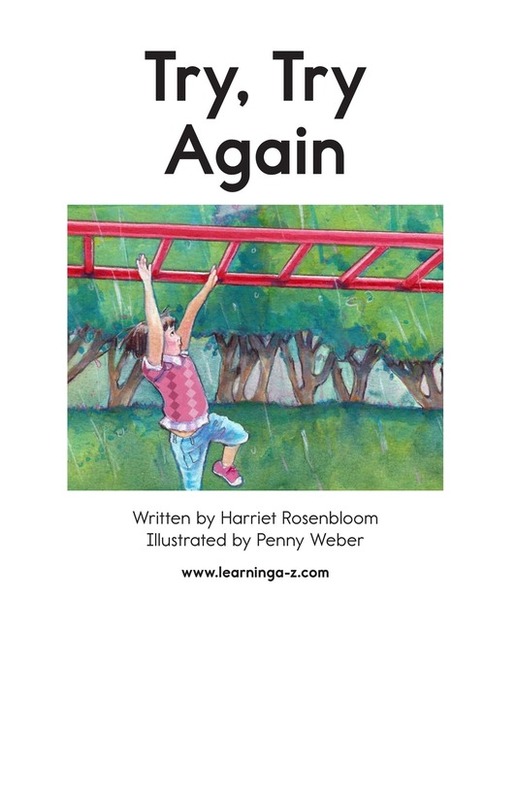 Detailed illustrations and repetitive text support beginning readers. 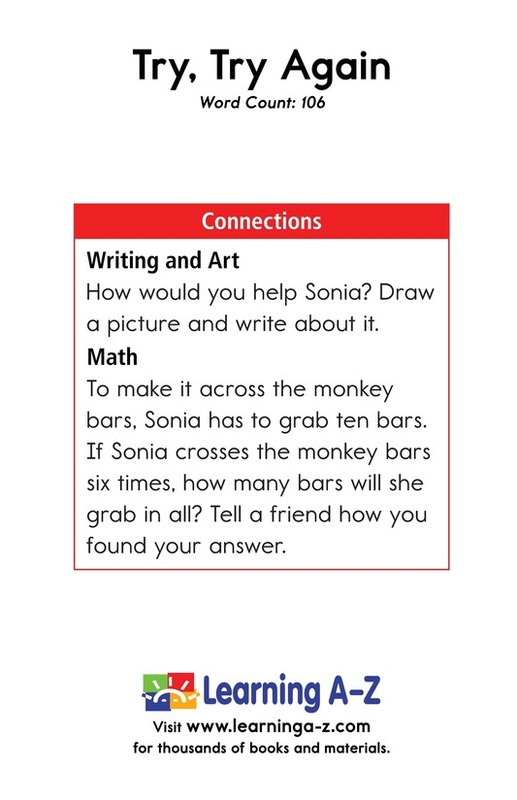 Students will also be able to connect to prior knowledge and analyze characters in order to better understand the story.